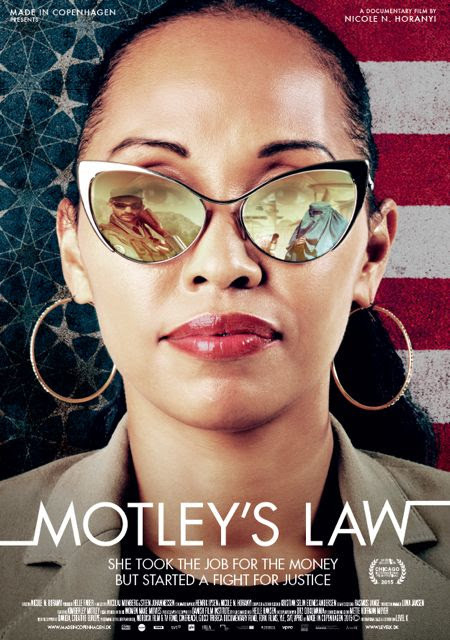 Kimberly Motley is an American attorney working in Afghanistan as a defense attorney. She also handles some civil matters and does work on women's issues. She is the only Westerner and only woman licensed to practice law in the country. We watch as she goes about her rounds, fights for justice, deals with her family and contends with a country where she isn't really safe. Very good film about a woman trying to do what is right despite the odds and despite the cost. Because the film really never leaves her, the whole films depends upon whether or not you like Motley and appreciate what she is doing. If she doesn't win you over the whole fly on the wall approach will collapse. Fortunately Motley is the type of person you can both admire and like. She's the sort of person I'd like to sit down with and talk about things for a couple of hours. A solid film and one that is very much recommended when the film plays November 16th and 17th at DOC NYC. For more information and tickets go here.